Journalist and historian Catherine Tumber is in the Finger Lakes region to discuss the findings of her new book, "Small, Gritty, and Green." Catherine Tumber is a big believer that small cities matter. "Cities like Rochester and Syracuse have been gradually dropped out of the urban conversation," Tumber says. "I wrote this book to address that oversight." 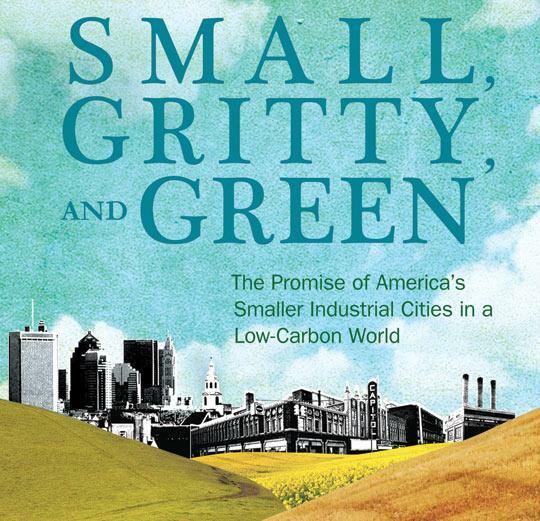 Tumber's new book, Small, Gritty, and Green: The Promise of America's Smaller Industrial Cities in a Low-Carbon World, documents examples of small- and medium-sized cities charging toward a sustainable future. Tumber, who grew up outside Syracuse and received her PhD from the University of Rochester in 1992, is now returning to the Finger Lakes to talk about her findings. Tumber is speaking at a panel discussion in Geneva Monday night at 7 p.m. The focus: How smaller cities across New York State can lead the sustainable revitalization of the regions they anchor. Tumber's two big keys: agriculture and manufacturing. I spoke with Tumber earlier today. You can listen to our conversation above.